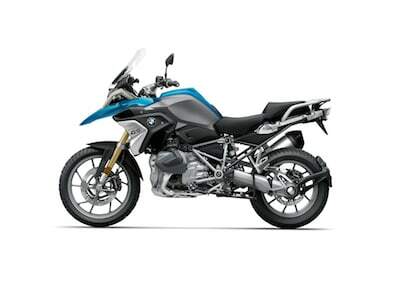 The new BMW R1250GS and F750GS models are being released this year, and we’re expanding our current fleet to include both models. Already they are the bikes of choice for many of our customers coming this season, and it’s easy to see why. 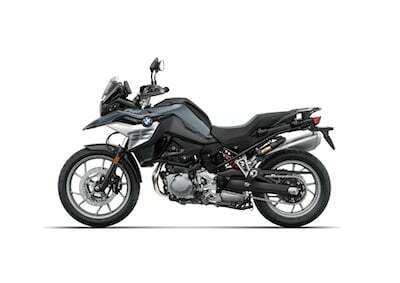 Our motorbike rental and touring season is beginning in April 2019, so there’s no time like the present to book your test ride on the BMW R1250GS and F750GS. Why not consider a multi-day rental to really get a feel for the bike? It’s hard to make a decision based on a 30 minute ride from your local BMW dealer. We’re located on the Wild Atlantic Way, so there’s really no better place to get a true sense of the bike. The riding on the Wild Atlantic Way is engaging, with plenty of twisty scenic roads, sure to test you and the bike in the best way possible. 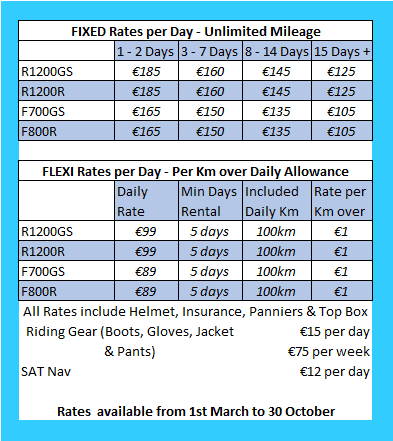 Rent a BMW R1250GS from €145 per day and the F750GS from €115 per day. See our rental pricing and criteria here. Combine your test ride on the new BMW R1250GS or F750GS with our Wild Atlantic Way tour. The tour includes 7 days of fantastic riding and 8 nights accommodation, starting and ending at our base in Killarney in the 4 star hotel & spa, The Brehon. Each day you’ll arrive at a new location after 5 or 6 hours riding. The routes are pre-programmed in detail on our Sat Nav systems, which ensures you see parts of the countryside that ordinary visitors rarely see. Each evening we stay in lively towns where you can relax or engage in the local Irish social scene, normally with a great range of restaurants and pubs to explore. You can find more about our Wild Atlantic Way tour here! What’s the best time of year to motorcycle in Ireland.